Bright green and bursting with classic summertime flavor, avocados exude freshness and, as they’re most typically eaten raw, require minimal prep or cooking time. Perfectly featured in casual, dip-style snacks and fancy salads and appetizers alike, avocados are unendingly versatile and filled with good-for-you fiber. As the Labor Day holiday approaches, showcase these adaptable and perfectly in-season fruits while they are still available at your weekend cookout or backyard barbecue. When to Buy: Like many fruits (and people), avocados have an aversion to cold. Though available year round, you’ll find the brightest, most flavorful avocados during warm-weathered months, particularly in the summer, when the sun is hottest and can fully ripen these pear-shaped selections. What to Buy: When it comes to avocados, ripe is right. Look for ones with the darkest colored shells. Bright green skins should be avoided at all costs. Gently squeeze the avocado before you buy it; it should be soft and tender to the touch, allowing a bit of give, but never mushy. If you won’t be using your avocado for a few days or you can only find under-ripened ones, you can expedite the ripening by keeping them in a brown paper bag until needed. Prep & Storage: The heart of the avocado lies within its thick, waxy skin, but to get at this buttery goodness, skip peeling as you would an orange and opt for simple scooping. Make a 360-degree cut from the top to the bottom of the avocado, exposing its stone pit, and use a wide spoon to free the creamy center. Like bananas and apples, avocados oxidize and turn brown when exposed to the oxygenated air. 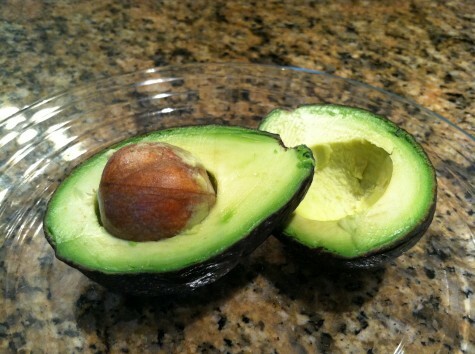 While they are still perfectly safe to eat, discolored avocados are not particularly appetizing. Help your avocados keep their great green color by drizzling a bit of acid – lime or lemon juice works great – atop them before serving. Even better, wait until the last possible moment to slice them, as they will likely be eaten before browning. Once opened, you can also keep them in the fridge submerged in a bowl of water for a few days–just wipe them off before serving! How to Cook: These silky smooth fruits are best when left to their simple, natural ways. Most often eaten raw with minimal seasoning, sliced avocados add a creamy texture to a bed of mixed greens, while mashing them into a guacamole or spreading onto a toasted baguette and sprinkling with sea salt highlights the innate richness of the fruit. Recipe Box: Check out our favorite avocado recipes. This BGSK classic is the ultimate go-to avocado recipe. Brown-bag this sandwich-style dish or serve at a casual summertime seafood feast. Phoebe recently ate this dude-approved, fill-you-up lunch during an epic hiking adventure out west. Pretty enough to pass at a party, these in-season toasts take just minutes to prepare. This vegan-friendly fare features fresh, creamy avocados and crunchy carrots. Maria Russo is a senior at Barnard College and recently learned (the hard way) the importance of using only the ripest avocados in a guacamole recipe. Hey There. I found your blog the use of msn. This is a very smartly written article. I’ll be sure to bookmark it and come back to learn more of your useful info. Thanks for the post. I will certainly comeback.